Mark Wilson goes on to outline how the passing of a Sunshine Act in the USA, on its own, has not solved the problem. I share in this conclusion. However, I still campaign for Sunshine legislation in the UK as a necessary first step, without which the scale of industry-biased medicine will remain hidden. This is why I have written to all the UK Royal Colleges and other organisations involved in medical education asking if they support sunshine legislation or not. Sunshine legislation is a means towards an ideal where science is not determined by money. 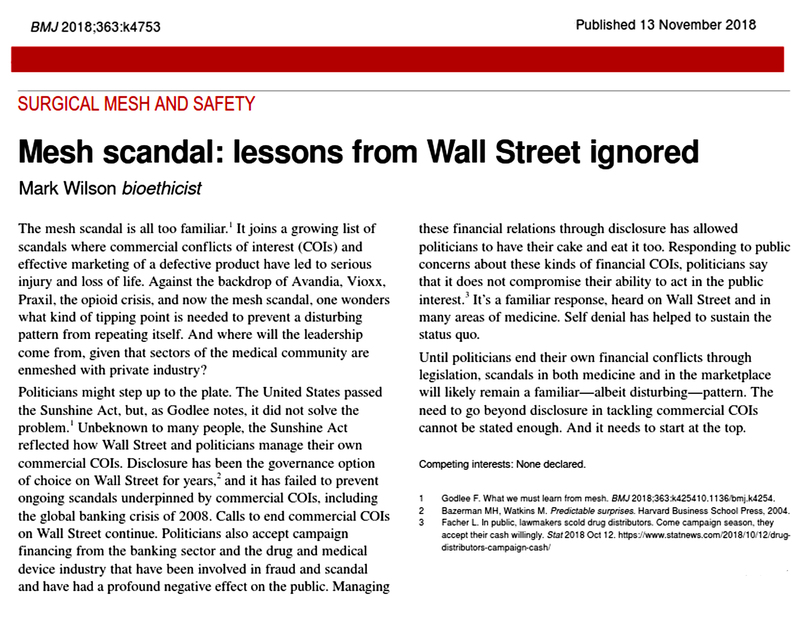 My writings on the Mesh scandal can be accessed here.